. 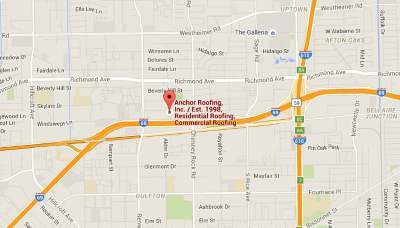 Metal Roof Installation | Metal Roofing Companies in Houston | Anchor Roofing Inc. I have talked to many people people calling our office wanting information about sheet metal roofing and how to install it. First there are many types of metal roofs, such as R Panel, U Panel, Decra Metal Tiles, Roman Metal Tiles, and standing seam metal roofs, typically you shouldn’t try to install a metal roof yourself unless you are adept in constuction and well oriented in regards to safety. I would never recomend for the weekend warrior to try and install their own metal roof; however having a sheet metal shop we do get calls from people looking to purchase materials to install there own metal roof. Most metal roofs come in standard sized materials that are fabricated, such as R Panel, U Panel, Roman Metal Tile, and Decra Metal Tiles, Standing Seam metal roofs need to be fabricated for the design of the house or building they are going to be installed on. There are several types of standing seam metal roofs, from a Z lock system,to a hand crimped panel. Typically with standing seam metal roofs the smaller the roof the shorter the span between panel, and the larger roof systems will have a larger span between panel seams. For example a 3,000 square foot residential standing seam roof may have a span of 12″ between panels from seam to seam, but a 30,000 square foot standing seam metal roof may have a span of 18″ to 24″ between seams on the metal panels. Most people intersested in investing in a metal roof do so with the realization that the upfront cost may be higher than a compostion shingle roof; however a metal roof installed properly will usually have a long life cycle and also be more aesthetically pleasing to the eye. Regardless of who you get to do the job, you always want to make sure that the roof is installed properly so that there are no repairs needed later. When you are getting price quotes for metal roof installation and shingle roof installation from contractors you will notice that the prices can vary greatly. In order to better understand the quality metal roofing materials you should look into online metal roof installation guides or manufacturer’s specifications and approved installers. This simple step alone can help reduce possible problems that could arise from your metal roof installation. Metal roofs can be installed over existing shingle roofs; however you may want to check with your insurance company prior to proceeding with this method to assure that your house or building will still be insurable if installed this way. You may also want to have Strucural Engineer, Architect, or Roof Consultant evaluate your building or home to assure that the additional weight can be handled from a structural position. Composition shingle roofs typically have a weight of around 3 pounds per square foot when the the weight of the shingles, vapor barrier, and fasteners are all combined. Taking that into account you must also consider that a metal roof system can range from 1 to 3.5 pounds per square foot between the panels – depending on the gauge and the type of underlayment or vapor barrier used beneath the panels and the fasteners and accessories. The first thing that you should do in your metal roof installation project is to sit down and plan out all of the details of what type of metal roof you are looking for and consult with a professional metal roof installer / contractor. 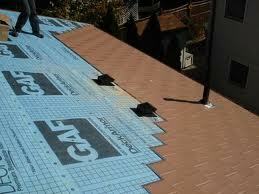 You will also need to take accurate measurements of the sections of your roof. After you have taken some accurate measurements you can start to call different companies and contractors to get some metal roof cost quotes. Keep in mind that you have many different styles and models to choose from and the prices can vary greatly depending on the type of metal roof system. If this is your fist time dealing with metal roof panels, it may be a good idea to your research before proceeding and leave it to a professional installer with a proven record of successfully installing metal roofs. I remember once when a homeowner tried to install their own roof and after ordering the materials, having them delivered to their house and dropped off they realized that they had taken on more than they could handle in effort to try and save money, and that he hadn’t ordered all the correct materials as well as ordering some materials that were the wrong size which couldn’t be returned as they had been custom fabricated and were not returnable. I really felt sorry for the guy and remembered when I was a child and would buy a model car thinking it would be easy to put together when I looked at the box, then getting home and opening up the box and then realizing that it wasn’t as easy as it looked and would require assistance. If you are unsure about any step of the metal roof installation process be sure to consult with a professional contractor before trying to do it yourself.